Throughout history, it has been tradition for mothers to pass down wisdom and life experience to their daughters in hopes they will become a successful wife and mother; information that was most likely passed down to her by her mother years before. It has been this way since the dawn of society—mothers are the sages, and daughters, the apprentices. Fast-forward to 2017. With more women in the workplace than ever before, and a comparatively paltry number of women rising to senior or executive positions, the infamous glass ceiling is still proving tough to crack, and our traditional connection to our foremothers is changing. Many women who look upward for a role model don’t see their likeness reflected back at them, making it difficult to visualize themselves in a position of power. In today’s world, who should women look up to when they want to learn new skills to advance their careers? As a rule, females don’t necessarily need female mentors. On the contrary, men have mentored some of the most successful women in modern history, like Condoleezza Rice or Sheryl Sandberg. However, many female employees have commented that they’ve had to work twice as hard just to prove themselves worthy over their male colleagues (for women of color, this phenomenon is magnified). Male executives also hesitate when it comes to mentoring younger women for fear that it will appear as though both parties are crossing the line from professional to unprofessional. There are many tactics companies can employ to mitigate this issue, such as meeting in public or involving significant others in the process, which could lead to more women being chosen as powerful protégés without stigma. We are lucky to know many strong, intelligent, career-driven women who are breaking all sorts of boundaries and have given excellent tips on how to acquire the edge to excel in careers like business, public relations, marketing and technology. With a record number of women starting their own business ventures, we’re confident that the tides are shifting in the right direction. Ladies: don’t wait for your executive doppelgänger to appear to tell you it’s okay to be a boss. Instead, form a relationship with a person (or people!) that reflects any number of your core beliefs, work habits or career goals and learn from their success in any way you can. Also, don’t forget to transmute your newfound confidence and observations into action – unfortunately, glass ceilings don’t shatter by way of staring contests. At least not yet. 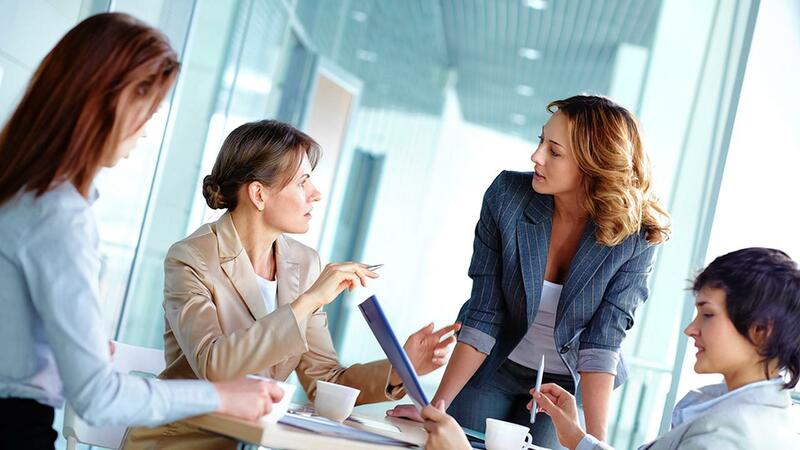 Female executives: did YOU have a mentor? Share your stories with us about how they’ve influenced you in your career.